Do you live and work in an energized vibrant space? Our homes and workplace all have their own vibe. This vibe or energy can be negative, neutral or positive and there are several layers that contribute to create the overall energetic quality of any place. Earth energies such as empathic disturbance, emotional residue from previous occupants, architectural and historic elements all influence the energetic quality of a property. 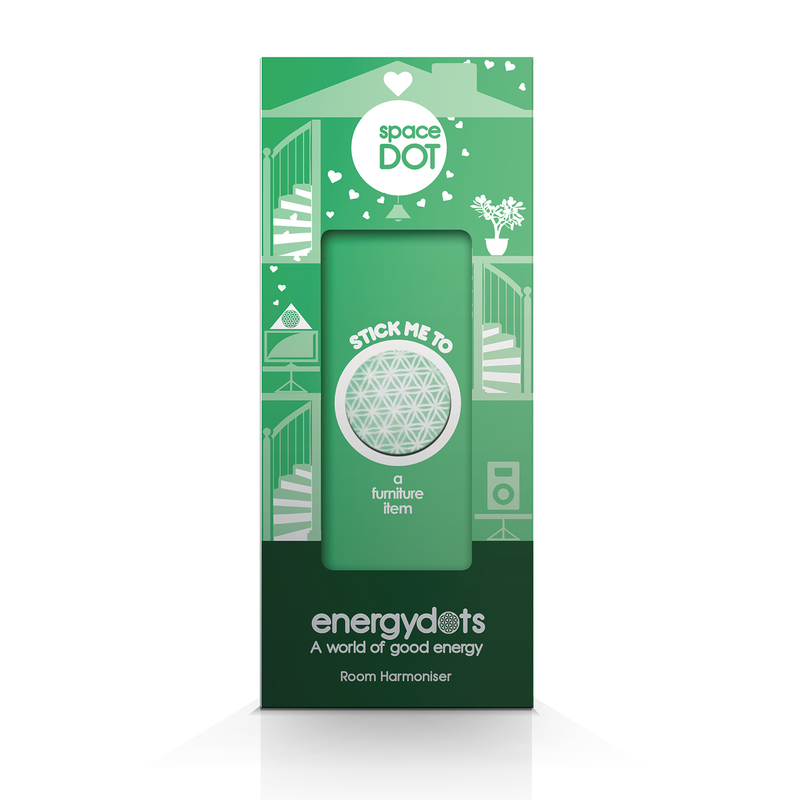 The spaceDOT is designed to harmonies disruptive energies and so uplift the energy in your home or work space. The Phi energy that spaceDOT continuously radiates will interact resonantly with your environment to produce a powerful clearing harmonic. This harmonic re-energizes and balances the area by the process known as entrainment. As human beings, we are very good at adapting ourselves to environmental disturbances. However, this is not the same as changing their effects for our benefit. Symptoms like poor quality sleep, irritability, difficulty relaxing and headaches can all be helped by attending to your energetic environment. A traditional system like the ancient Oriental art of Feng Shu works to ‘heal’ energetic problems in buildings by rearranging architectural features and changing color schemes. This can prove to be a costly exercise. The vibrational frequencies of the spaceDOT can create tangible positive change at a fraction of the cost. Wherever you live or work you can benefit in a number of ways from the uplifting effects of the spaceDOT. spaceDOT has a radius of approximately 5 meters (i.e. 360 in all directions around its center) and can be used in a number of ways. Consider the area which you feel needs re-energizing. Is it a particular room, or a larger space? Perhaps you feel the energy needs rebalancing but you are not sure what to do. If it is just a particular room buy a spaceDOT and stick it to a favorite object within the room. If it is a moveable object try it in different places. If it is the entire property, four spaceDOTS may be applied to form a ‘grid’ which will energize the whole area.